Andrea joined the faculty of Marquette Law School in 1996 where she teaches ADR, Negotiation, International Law, International Conflict Resolution and Art Law. She also helps to run the nationally-ranked ADR program at Marquette Law School. Prior to joining Marquette, Professor Schneider was Visiting Professor of Political Science and International Affairs at the Elliot School of International Affairs at George Washington University as well as an Associate at Arent Fox in Washington, D.C. where she specialized in international corporate transactions. Professor Schneider has also served as a lecturer at Stanford Law School and a Teaching Fellow at Harvard Law School. Professor Schneider is a co-author of the just published Dispute Resolution: Beyond the Adversarial Model (Aspen, 2004 with Carrie Menkel-Meadow, Lela Love & Jean Sternlight) as well as a co-author of two additional books on negotiation with Roger Fisher, Beyond Machiavelli: Tools for Coping with Conflict and Coping with International Conflict. She is also the author of Creating the Musée d'Orsay: The Politics of Culture in France. Professor Schneider has published numerous articles on negotiation and international law including articles in the Harvard Negotiation Law Review, Conflict Resolution Quarterly, Michigan Journal of International Law, University of Pennsylvania Journal of International Economic Law and the Negotiation Journal. In 2000, she was given an Outstanding Achievement Award by the American College of Civil Trial Mediators for her work as the national coordinator for the ABA Law Student Representation in Mediation Competition. Professor Schneider regularly conducts negotiation and mediation trainings for law firms, bar associations, court systems and companies around the country. 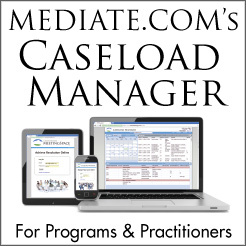 Past clients include Oracle, MCI, the Smithsonian Institution, and the American Association of ADR Attorneys. She also currently serves at the co-chair of the ABA Task Force on Mediator Credentialing. I thought that teaching the Kavanaugh hearings in a careful and respectful manner a few weeks ago would be the biggest teaching challenge of the semester. I was wrong. The Pope, a rabbi and an imam…sounds like the beginning of a very funny joke but last week was a reality. elliot pope As you likely know, last Friday the Pope hosted an interfaith prayer gathering at the 9/11 Memorial and Museum. This was trailblazing and I’ve linked to the video here for those you who have not yet seen it. A quick follow up to circle back on my proposal to have my 70 students negotiate the parameters of their ADR class. I it was great! They all negotiated and the group reached agreement. Here are the benefits I’ve seen so far. There’s a sacred ADR story in the Second Book of Samuel, which relates how the negotiating skills of a “wise woman” saved her city of Abel of Beth-maacah. 2 Samuel 20: 1-22*. A man named Sheba son of Bichri tried to incite a rebellion among the people of Israel against King David and the people of Judah. We have started the last week of classes in ADR this week and usually, at this time in the semester, I turn to the overarching subject of how to counsel clients when choosing among different dispute resolution processes. Last night, I took a deep breath, and asked the class to think about the situation in Ferguson. The ABA Section on Dispute Resolution conducted a survey last year of its lawyer members and the results are in! Last week, I was delighted to welcome Lucy Reed, a partner at Freshfields Bruckhaus Deringer and co-chair of their international arbitration group as our inaugural speaker for our speakers series on Gender & Negotiation, funded by the University Centennial Celebration Fund to celebrate 100 years of women at Marquette.